Hey guys! 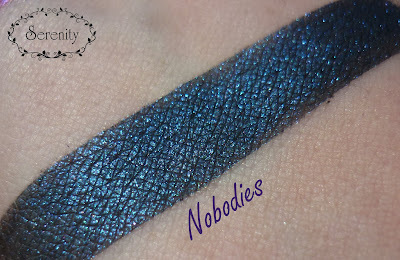 Turns out the weather didn't agree that I should have this post up yesterday, because there was no sun to be seen! 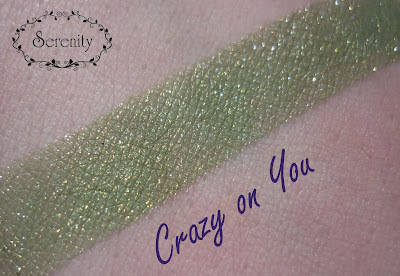 As soon as it peeked out today I ran off to finish up these swatches! 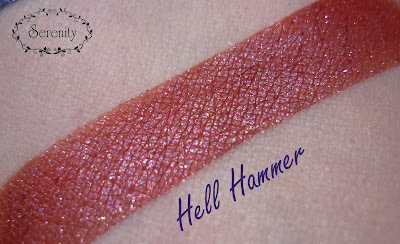 You can find my first few swatches and overall review here. The 30% off sale at Black Rose Minerals is on until Monday at Midnight PST, so you still have a bit of time to get an order in :) In the interest of getting this post up speedily I'll leave out my comments on each shade, and just tell you my faves at the end. I will include the offical descriptions though. On to the pretties!!! 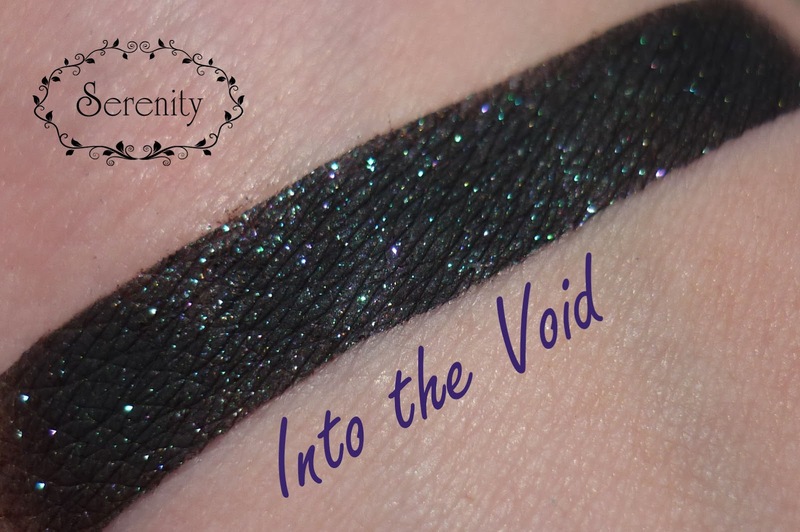 Into the Void: "Black base glitters with violet and green sparkles"
Lady of Light: "A sheer white with a golden sheen"
Crazy on You: "A soft green with a golden glow reminiscent of the moonlight. 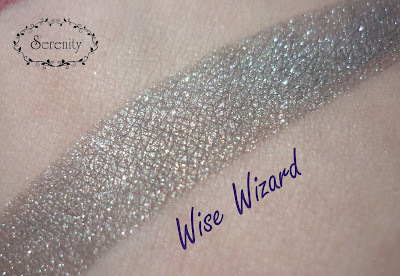 And a bit of silver sparkles sprinkled throughout." Follow You into the Dark: "Dark grey with warm sparkles." Blood Moon: "An eerie ethereal bluish-lavender with loads of red and purple shimmer and a pinkish/reddish/coppery/purple shift." Venom: "This shimmery violet has magenta hues shimmering under pink iridescent glitter"
Nobodies: "A deep, shimmery electric blue"
Hell Hammer: "This bright bloody red shimmers with highlights of red sparkles"
Wise Wizard: "A silvery grey with a white sheen." Grape Drank: "It doesn't get much more purple than this. 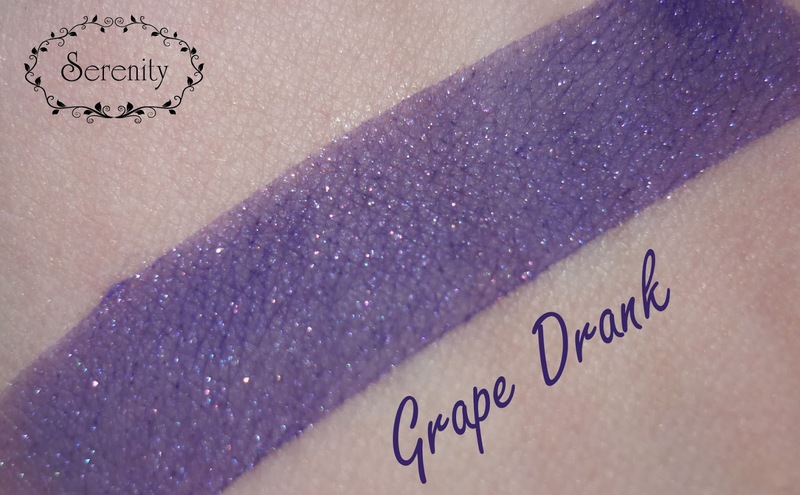 If this were a drink, it would taste purple." 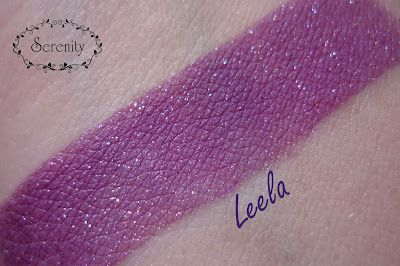 Leela: "this electric violet shimmers with female charm and prowess. 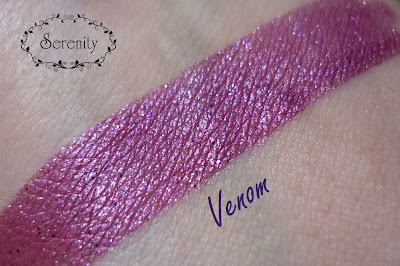 Not for the faint of heart, this one is sheer and sparkly dry and a deep glowing violet when wet." 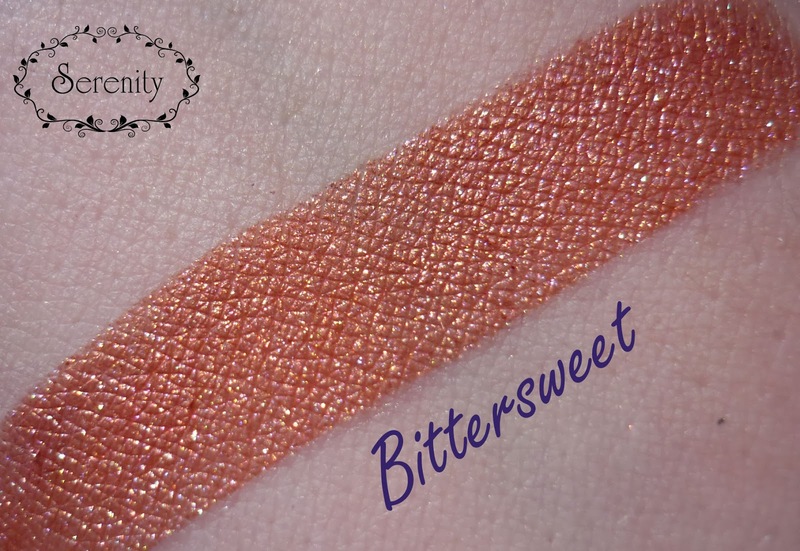 Bittersweet: "A mid tone orange with slight pink highlights and greeny gold sparkles." Note: The green hid from my camera, but it was there and it was so pretty! 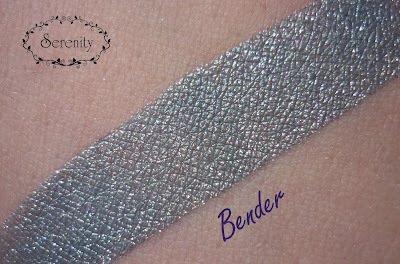 Bender: "This silver shines with a touch of blue." 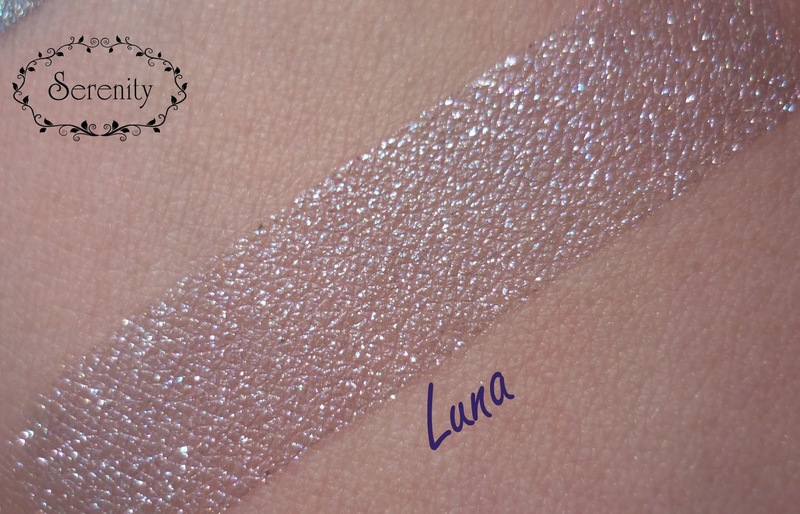 Luna: "A sheer ethereal light purple with lots of blue, red and purple shimmer." Phew! 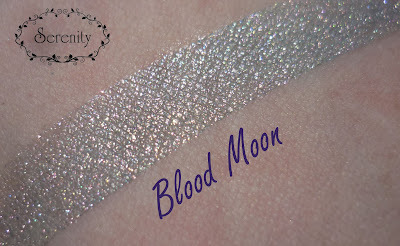 Lucky that sun hung around for a bit :P Hopefully this helps you make your decision on what to order from Black Rose Minerals, as I said yesterday I really recommend this company - the formula is superb. My faves of this bunch are: Into the Void (makes a great liner), Lady of Light (great highlight), Follow You into the Dark, Nobodies, Hell Hammer and Blood Moon. 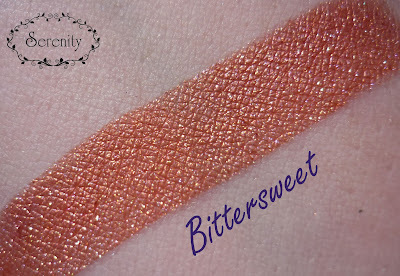 As you can tell I had some trouble narrowing my faves down lol, they're all great shades! 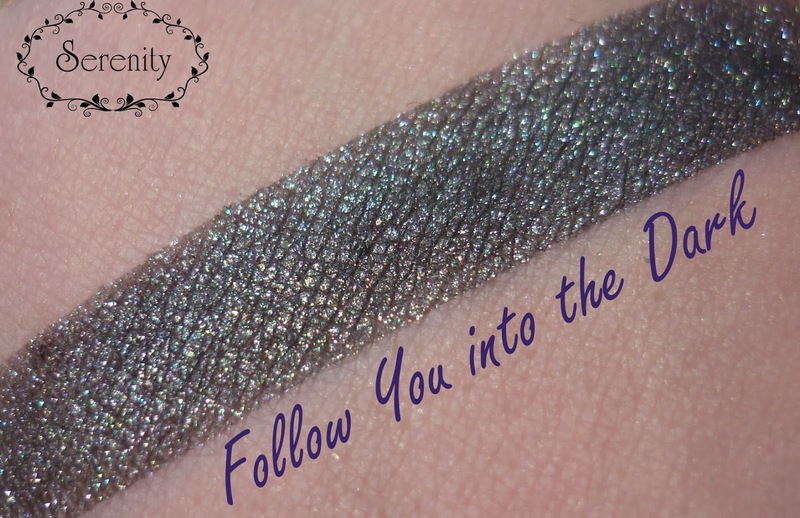 Ahhh, I was just looking at swatches from Black Rose Minerals! 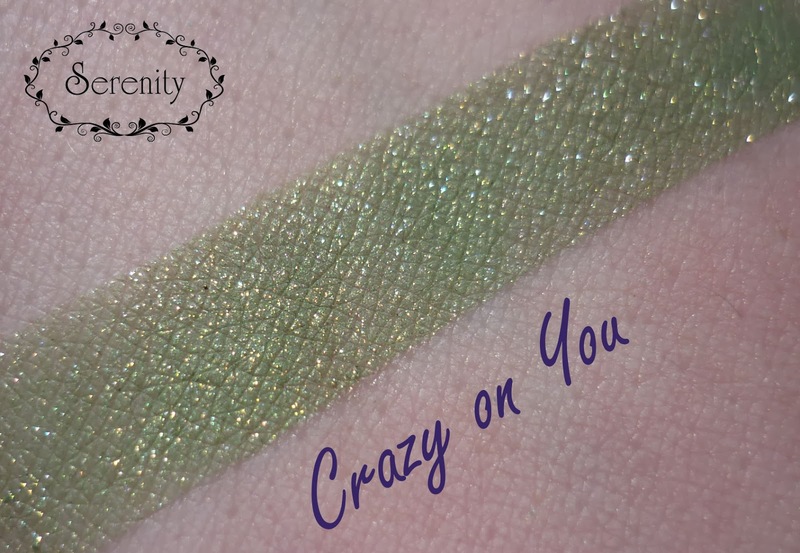 I think you're about to push me over the edge again :P The only thing I was iffy about was their sample sizes. I keep hearing that they give 1/8th tsp, but I hear from others 1/4th. I don't know how I feel about getting samples that are half the size of Shiros! I think I'll definitely check it out! I think the labels and the theme of the company itself is gorgeous. 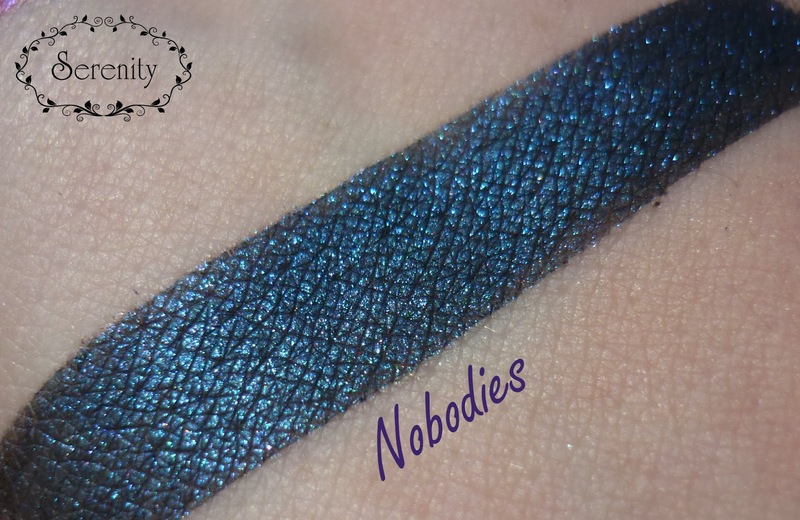 I'm sort of on a no-buy now; I know I say that a lot but I'm definitely trying this time!! I just got the full GoT collection (sample size) from Shiro, so yeah :( I still have a Victorian Disco order on my way ahh!! 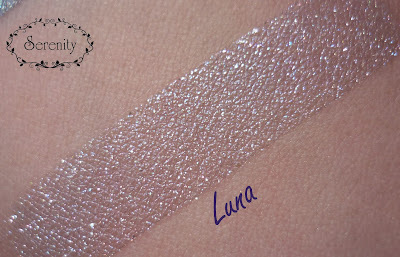 I love the branding of Black Rose Minerals - right up my alley! 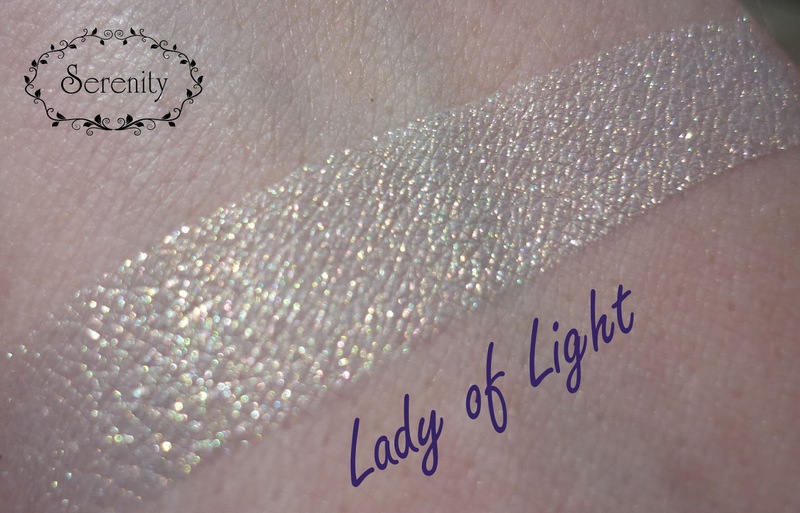 I also like a lot of her collection themes :) Ooo I'm jealous about the GoT Shiro samples - they're quite high on my 'to buy' list :) I have VDC on the way too, and have subscribed to I+T Alchemy which should be here any day :D I'm just about to read your shiro and NM posts! 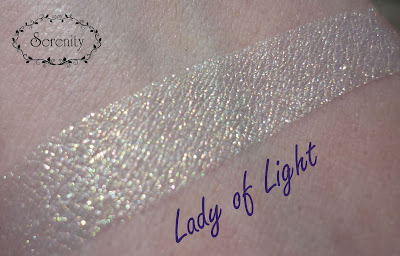 I have numerous shadows from BRM & usually buy when she has 30% off sales which is frequently. Even her baggie samples give you plenty of product.